Uploaded by SkyCam Media on 2017-10-25. 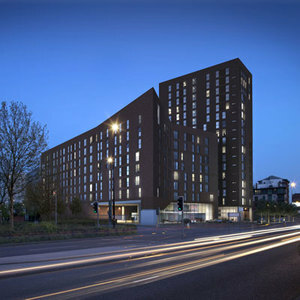 Wilburn Basin is positioned where Manchester meets Salford, a 5 minute stroll from Castlefield district of Manchester City Centre. 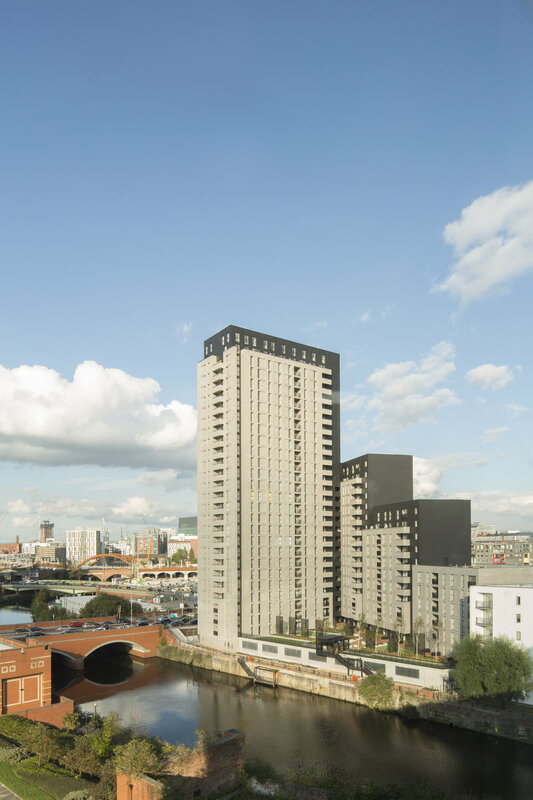 As the name would suggest, the Scheme is sited around the historic River Irwell Basin and offers an attractive waterside setting to residents. Wilburn Basin comprises four distinct blocks varying in height from 8 to 21 storeys which offer fantastic views across the city. All apartments are built to a high specification with Porcelanosa kitchens and Villeroy and Boch Sanitaryware. Duplex Penthouses on the upper floors include private roof terraces. Residents’ Facilities are second to none, including a gym, cinema, residents’ lounge and meeting rooms. A hotel style reception and 24 / 7 concierge completes the internal communal specification whilst externally residents can enjoy landscaped gardens and seating areas around the River Basin. The scheme also incorporates secure gated access to the Irwell where residents can enjoy a riverside stroll to the Spinningfields district of the city centre. Phase 1 of Wilburn Basin completed in November 2016. Phase 2 completed in September 2017 with apartments available to purchase (last few remaining). Click Here for further details.